Federal Signal creates products for public safety vehicles such as police cars, fire engines, ambulances, EMS vehicles and work trucks. Besides audible warning devices, they excel at making advanced LED light bar products to suit all warning, directional, alert and scene lighting requirements. 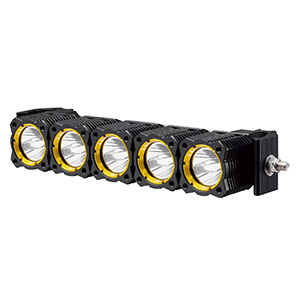 This light bar features Federal Signal’s exclusive Solaris LED Rotator, which provides eye-catching light over 360 degrees compared to standard linear light bars. 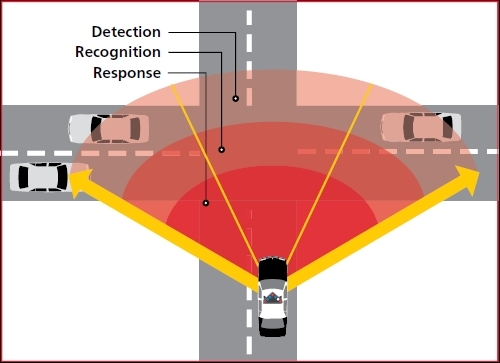 This is especially important at intersections where the Vision SLR provides a 40 percent increase of light at critical 90 and 45 degree angles. The Vision SLR comes in sizes from 21 inches up to 60 inches. This light bar provides a low profile and non-linear shape to improve appearance, aerodynamics and visibility. It utilizes Federal Signal’s Solaris LED reflectors for maximum brightness. SpectraLux™ LEDs that provide amber, blue, red or white light can be specified. Federal Signal’s SignalMaster™ is built-in for directional traffic warning. 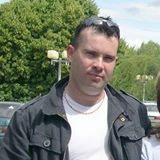 HotFoot takedown and alley units can be added. The 44 and 51 inch models use 12 to 16 amps with HotFoot options and a 50 percent flash cycle. 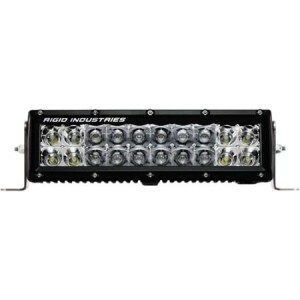 The Integrity is a low profile linear light bar with multiple rows of multi-color LEDs. Each light head can change color or flood the entire scene with penetrating white light. Driver and passenger side flood patterns, front and rear, are programmable. It includes Solaris LED reflectors to eliminate dark spots in a 360 degree pattern. Input voltage is 12VDC and the 51 inch bar draws up to 30 amps with HotFoot modules. The Integrity is available in 44 or 51 inch models. The Legend LED light bar is an advanced linear light bar that includes Federal Signal’s most advanced technologies including their patented Reliable Onboard Circuitry™, HotFoot™, Solaris LED reflectors, FS Convergence Network and SignalMaster directional warning lights. It is compatible with Federal Signal 3- or 6-button controllers. It comes in the following lengths: 24″, 45″, 53″, 61″ or 70″. 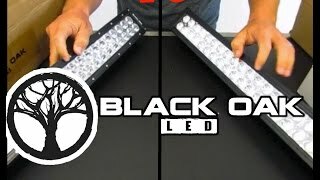 The LPX version of the Legend light bar shares the same flash patterns and controllers. It adds a dimming feature to reduce light output when in park, LED alley and takedown lights and front and rear light cut-offs. SignalMaster, ultra-bright takedowns and multi-button controllers are built-in. It offers colored top covers in blue, red, amber or white. It only comes in three lengths: 45″, 53″ and 61″. This version of the Legend is aimed at tow and fire truck applications. It uses the same powerful LED, reflector and control features as the Legend LPX, but uses a 15-foot 9-conductor cable for flexible, on-demand mounting options. It comes with two flash modes, 10 patterns and independently controllable front and rear lights. Federal Signal’s Navigator is a multi-row, high-profile LED light bar that includes LED reflectors and rotators in one unit. It is perfect for fire trucks and command vehicles. Its Solaris LED Rotating and QuadraFlare® reflectors are specifically engineered to produce bright, off-axis light for highest visibility, especially at intersections. The Navigator can flash two colors chosen from red, blue, amber, green and white. It also can completely illuminate a scene without dead spots or flash up to 30 patterns. It comes in a wide range of sizes from 18 inches up to 87 inches. 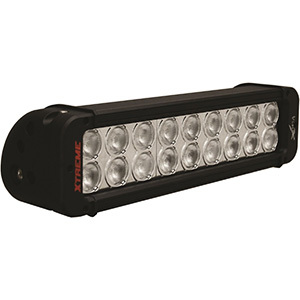 Made as an alert light bar for tow and recovery, work trucks and fire apparatus, the JetStream LED features Federal Signal’s ModLED modules with high-intensity, low current LEDs with a lifespan over 100,000 hours. 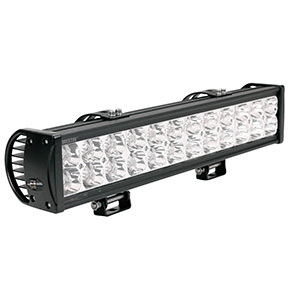 This is a 360-degree linear light bar with an extremely durable housing. There are 10 flash patterns of which two can be selected while in operation. 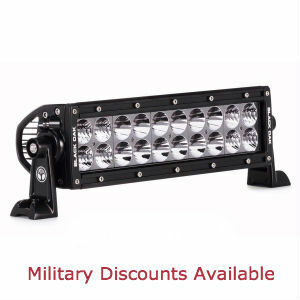 The light bar is expandable by adding more LED modules each of which only draws 0.32 amps. Additionally, Federal Signal light bars include polycarbonate domes and a variety of pod sizes. Each pod or HotFoot unit uses the brightest LEDs available with only 2.5 amps of current draw per pod. All the products in each Federal Signal light bar review below come with a 5-year warranty. 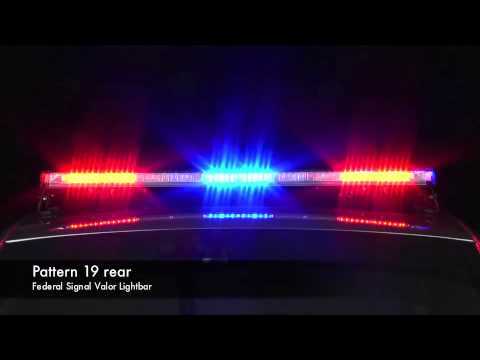 Almost every Federal Signal LED light bar review praises their products for their durability, reliability, flexibility and risk reduction that surpass competitors in the public safety market. Third-party builders love the seemingly infinite selections of flash pattern, intensity, color and functional modules to meet the requirements of their most demanding clients. Federal Signal has managed to create a tight, mostly non-overlapping set of products to match any public safety or work light bar application.